The BT-200 is an exceptional bluetooth headset from Andrea Electronics, however there are two minor downsides: the price and the design. The headset, which is bundled with an USB Bluetooth Receiver, retails at $89.95 although it’s available for a bit less if you shop around. The design is a bit bulky and frail. I found myself playing with the microphone more often than not in order to simply position it properly so that person on the other end could hear me. The headset also has some quite useful features such as multi-device support, which worked seamlessly for answering calls on my cell phone and Skype running on my computer. The headset fits snugly and securely onto your ear. Once it’s in, there’s no need to worry about it falling out unlike many headsets I’ve come across. However, as stated before, the microphone is an annoyance at times since I had to keep adjusting it so the person on the other end could hear me. Also, Andrea Electronics needs to keep up with the times. It’s not exactly fashionable any more to be walking around in public with a long wire extending from your ear lobe to your mouth. I personally wouldn’t mind using it in an office setting, at home, or possibly even in the car. The button configuration is fairly standard and simple to use. There is one button for answering and calling, another for control volume. The volume control buttons were a little stiff, but other than there, there were no issues. Andrea advertises that the headset operates within a 10 meter range; it operated at even further distances from my testing while retaining clear call quality. Just like the Jabra BT2050, the BT-200 supports auto paring, multi-point connections, muting calls, voice dialing, redialing, call rejecting, and call waiting. Also, depending on the color and interval of flashing, the blue and red LEDs let you know when the headset is either on an active call, in standby, when the battery is low, or if it isn’t paired. The bottom line for usability is a gizmo that’s easy to setup and is friendly to use. 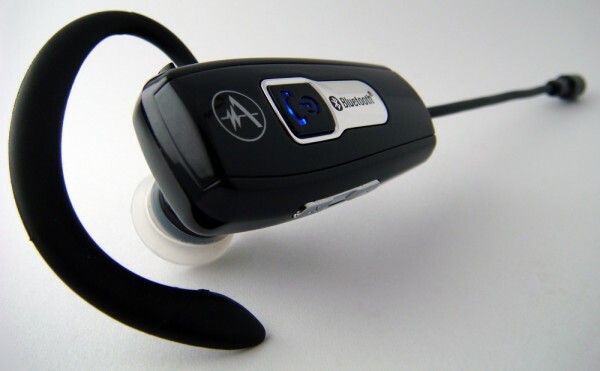 The Andrea BT-200 is an excellent headset and the most important aspect, call quality, meets the bar. However in a day and age where simplicity is an important aspect of style, the Andrea BT-200 falls short. And the price-point is a bit on the high end for the average consumer. If you have the cash and don’t mind the looks, I would definitely recommend this headset.